Demo existing building for development of a new 83 room Hostel with related spaces, a restaurant and coffee shop. No parking provided. Consolidation of 4 lots. Vacation of Halsey Street. Demo existing house. Construction of four 6-plexes (1,000 sq ft 2bed/2bath condos). Garages on 1st floor. No parking proposed. Affordable Housing. Modular construction. 24 total units. 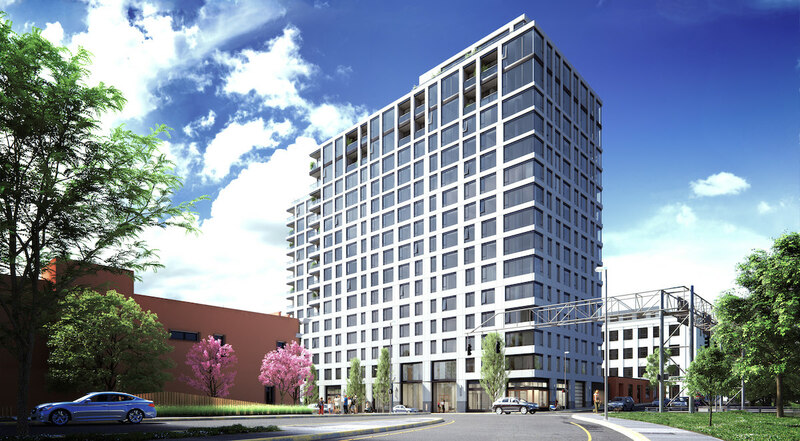 New 6-story mixed-use building consisting of 202 group living units, 8 apartment units, shared kitchens on each floor, 56 parking spaces, and 3 commerical tenant spaces on the ground floor. New construction of a 44,700 SF building with 88 group living rooms provided in (16) dwelling units, (2) one bedroom and (2) two bedroom apartments in four floors of type VA construction above one floor of Type IA construction which will contain 6 live-work units, amenity spaces, parking and building utilities and one below grade level containing parking and building utilities. New 2-story, 3-unit apartment building with 1 parking pad and associated site work, attached trash enclosure. No mechanical. STR 01 – structural permit up to the underside of level 2 for a 286,000 GSF mixed-use building with 4 levels below grade for parking. General retail on level 1. 230 residential units on levels 2-15. 200 below grade parking spaces, no mechanical install with this phase of work. Design Advice has been offered to TVA Architects and VWR Development for a project at SE 9th & Alder. The mixed use development will include 162 residential units over ground floor retail. Parking for 37 vehicles is proposed in one level of below grade parking. Long term parking for at least 243 bicycles will be provided. Construction of the Rothko Pavilion as currently proposed would require City Council permission to alter an existing pedestrian easement. In “So many projects, too little time”, the DJC looked at the speed of Portland’s Design Review process*. BikePortland took a look at the newly built trail adjacent to the planned Tesla Showroom at 4330 SW Macadam Ave. 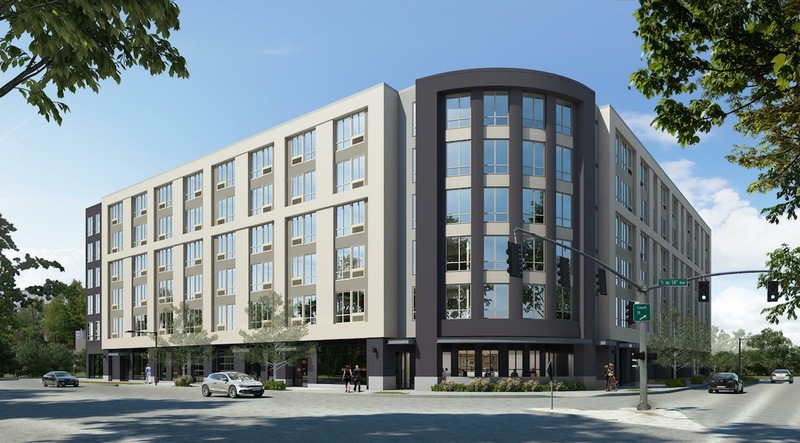 The Portland Business Journal wrote about the four-story self-storage building that’s coming to a site at 627 SE Division Place. BikePortland reported that the city’s bicycle and pedestrian advisory committees have expressed opposition to the Portland Art Museum’s Rothko Pavilion. The DJC published photos of the expanded Japanese Garden. Portland Shoupistas reported that proposed changes to buildings planned at 1717 SE Tenino, 5965 SE Milwaukie and 1645 SE Nehalem—which would see 46 parking stalls removed from plans in favor of the addition of 40 affordable units—may not happen, due to the Bureau of Development Services’ interpretation of what counts as “frequent service” transit. The Oregonian looked at whether Portland can build its way out of a housing crunch. 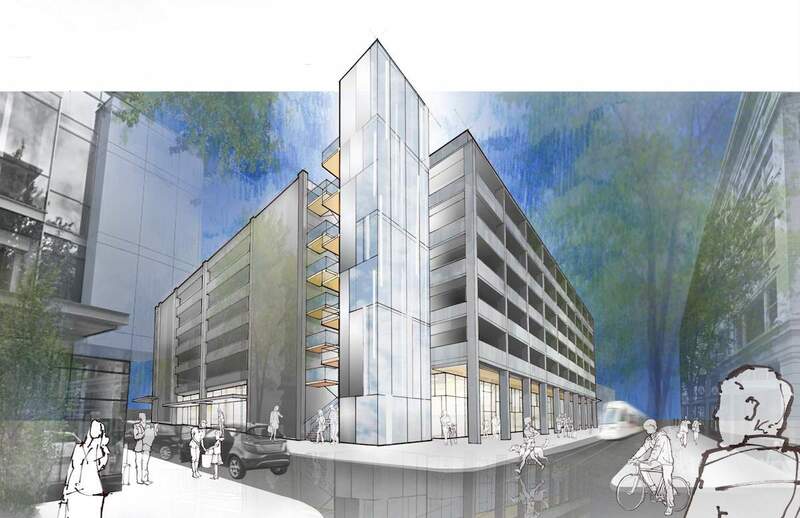 Plans by the Portland Bureau of Transportation and the Portland Development Commission to renovate the 10th & Yamhill Smartpark Garage have received Design Advice. The project is being designed by FFA Architecture and Interiors. The project is intended to address ADA and seismic deficiencies in the existing structure, as well as improve the ground level retail experience. 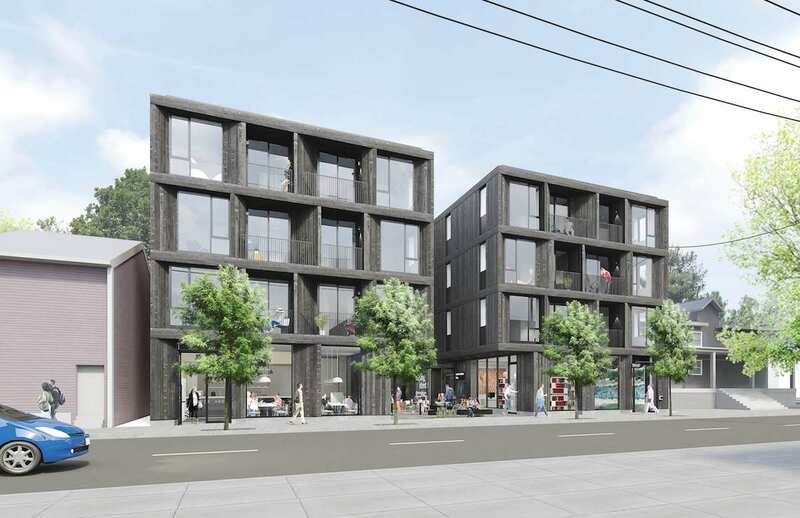 A proposed mixed use building at NE 13th & E Burnside has gone before the Design Commission to receive Design Advice. 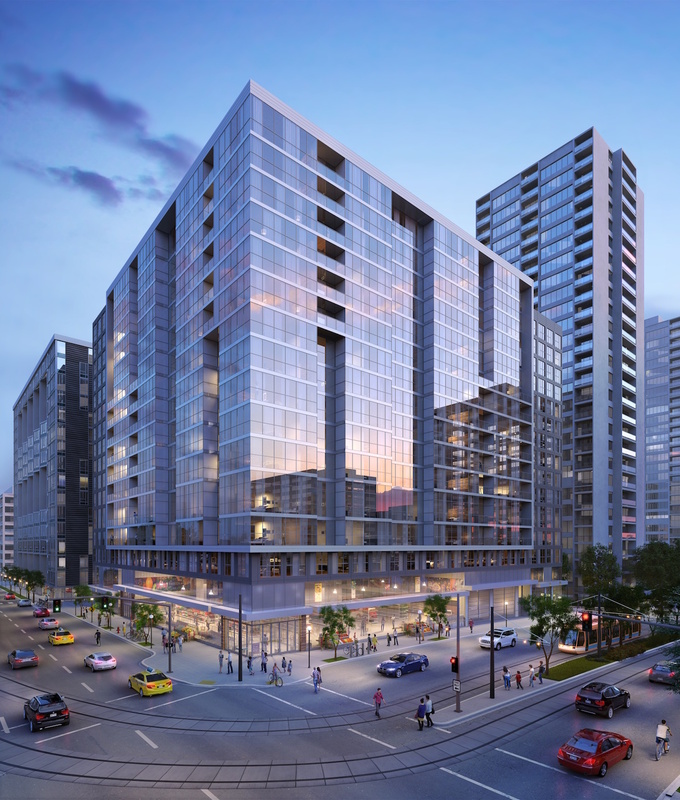 The project design is by Seattle-based Encore Architects for developer Alliance Realty Partners. The building will include 208 apartment units and 129 vehicular parking spaces. Retail, amenity spaces and live/work units are proposed at the ground level. The first building permit was issued for Core Spaces’ Collective on 4th. 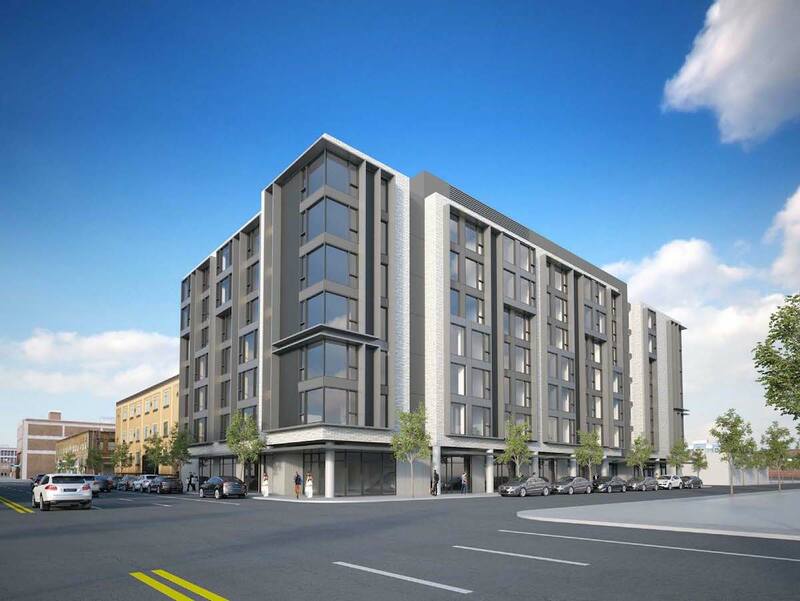 New six story residential project with one level of below grade parking. Project will be 160,000 GSF above grade with 200 units. FAR is 4:1.
new 17 story apartment building. 270 residential units are proposed. The first floor will have both residential and parking. There are 192 underground parking spaces. The access for the parking would be from NW Naito. One loading space is proposed. The property will be divided to create a 79,700 square foot site for this development. 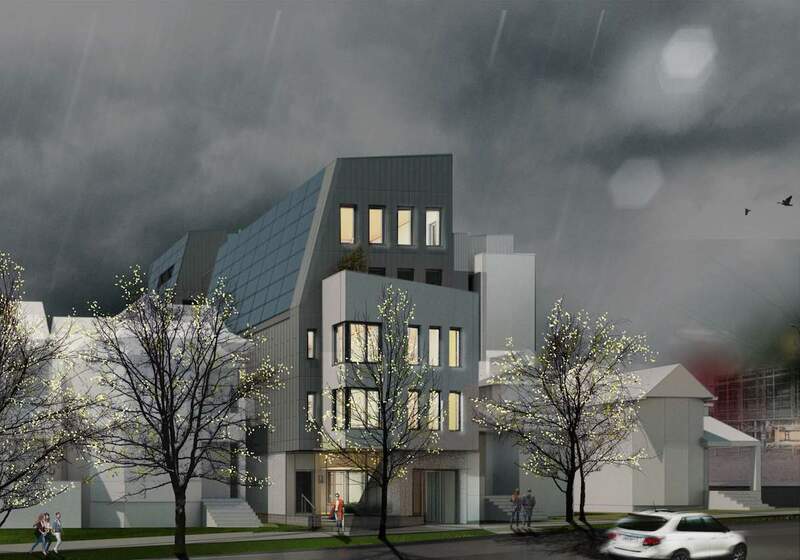 Proposal for a new apartment building of 96 units to replace CO 16-198732, no parking. Proposal is to build a new apartment building to replace CO 16-196951 for 119 units and no parking. Proposal is for a new apartment building of 53 units no parking which would replace CO 16-178394. Project consists of an approx. 8500 SF, single story new core and shell building for up to nine restaurant tenants on property that was previously used as a restaurant. The existing unoccupied building may be demolished. Site work will consist of selective demolition, new infrastructure and parking lot repairs to 15 food carts, seating areas, and required parking. Full renovation of an existing 15-story office building including seismic upgrade and replacement of MEP systems. 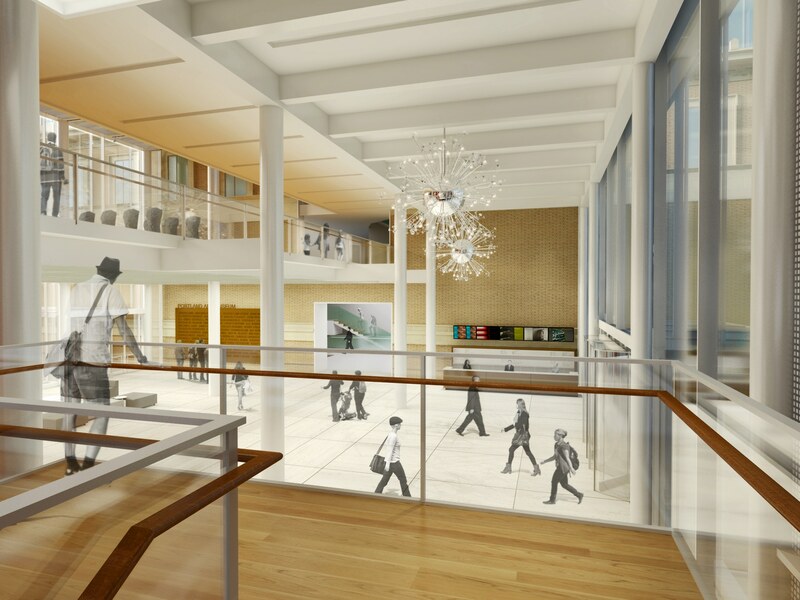 Proposed exterior renovation includes replacement of all existing facade finishes and glazing systems. New building cladding system will sit outboard of the existing building face. Two areas of the existing covered loggia on the first floor are being enclosed and added to the interior building area. No additional impervious surfaceor roof area is being added. This is a historic building. partial – site clearing and demolitoin, tree removal, excavation, shoring and erosion control. The Business Tribune reported on the City Council’s deliberations over the appeal for the Ankeny Apartments, which were denied by the Design Commission earlier this year. The DJC wrote about plans by the Portland Development Commission to rehabilitate* the long vacant Old Fire Station Property in Old Town Chinatown. According to the Oregonian the 111-year old Chamberlain Hotel building, formerly home to Shleifer Furniture, will house a temporary homeless shelter while plans progress for its renovation into a hotel. CityLab published an article about the Burnside Bridgehead, titled Portland’s Next Density Spurt, where projects such as Yard, Slate and the Fair-Haired Dumbbell are re-shaping the skyline. Eater PDX reported that Japanese restaurant Kuu will open in Slate this summer. The Hollywood Star News reported that the Makers Row development in Cully is nearing completion. 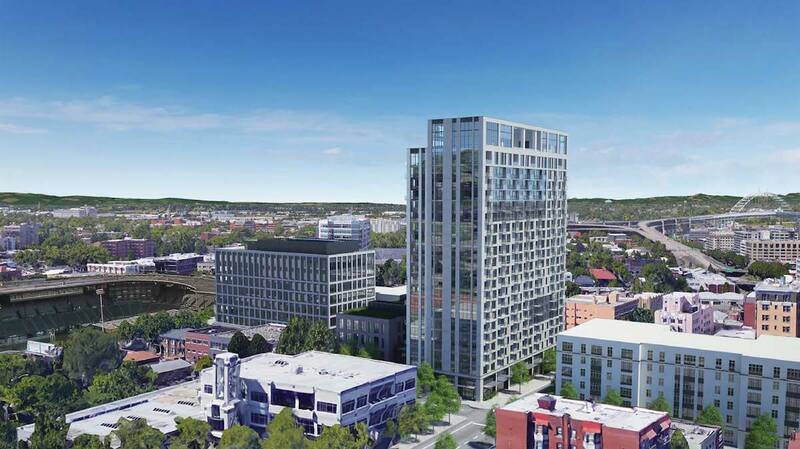 An initial Design Review hearing has been held for the Press Blocks, the redevelopment of the former Oregonian publishing buildings in Goose Hollow. The development will include three buildings, spread over one and a half city blocks. The project is developed in partnership by Urban Renaissance Group and Security Properties. The architects are Portland based GBD Architects and Seattle based Mithun. Proposal is for a 3-story wood frame building over a concrete basement serving as resident parking. Total of six units, designed as flats serving a target market of downsizing seniors/retirees. New 4-story mixed-use building with 30 apartment units and retail lobby on ground floor. No parking is planned. new 150,000 sq. ft. 5 story mixed use development including ground floor mixed use commercial, 100 apartment units and below grade parking 100 spaces. Street vacation for SE Tenino and SE Grand Ave.
2500 sq ft 1 story addition to existing educational building, Project includes office space, classrooms and a conference room. Proposal is to demolish the existing house. Build new 4 unit apartment building; 3 for-rent “townhome” style units facing SW Gibbs. 1 owner-occupied unit on top (2 levels with entry facing SW 12th. Onsite flow-through stormwater planter. PBOT improvements. No affordable housing. Partial change of occupancy from A-3 to A-2, additions on east and west elevations of existing church, partial remodel of existing building. Expansion of parking lot, new landscaping and stormwater facilities. New 118 sq ft trash enclosure not reviewed for life safety under this permit.